Isn't that place just gorgeous?? I so love that picture. Maybe one day I'll get to see it in person!! Gorgeous picture! I love that castle! My husband's family is German-descent; he even lived there for a while when his dad was in the Army. He's promised to take me! Wow, this castle is absolutely beautiful. Absolutely beautiful! 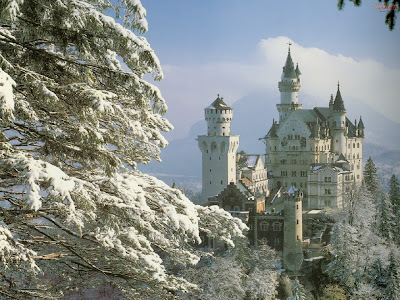 I wish I lived in a castle, except it'd be weird to live someplace so big. Absolutely lovely. I want to be there. Sigh, one of these days.